They were released in or around Summer 2011, yes, but more specifically, they feature men: juvenile, sometimes morosely backward, incapable, immature, fuddling, canoodling, inept, drunk, and/or boyish men, minus the boyish charm. Yes, they exude boyishness, but in smelly body funk way, not a snips and snails and puppy dog tails way. The movies generally reflect the lives of ordinary men who have an “a ha!” moment: Steve Carrell in Crazy, Stupid, Love is a bumbling husband needing a makeover. Tom Hanks in Larry Crowne plays a jobless hopeful goofy every day guy.. Even Captain America is a scrawny nobody until he becomes Captain America. An exception might be made for Ryan Reynolds in The Green Lantern who plays an ace pilot, however, characterizations of pilots lean toward the immature, myopic braggart, with The Green Lantern himself leading the pack. (see Jet Pilot song here for further reference). In one case, (Terri) the main character is literally an outsized teenager. 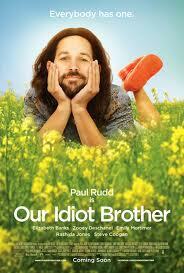 The movie Our Idiot Brother speaks for itself. Oddly, the one movie released this summer I thought would typify the man-loser model is Planet of the Apes, however, the lead man in that movie is an ape, and a very clever one, indeed. Are these movies indicative of our culture, of men in particular? Did something happen to men or our impression of men in the past ten years, the years I’ve been married to a very un-blockheaded guy? Are we supposed be heartened, sympathetic, or fooled by men who are simpering failures? or are they contrition for all the movies that have inelegantly portrayed women over the decades….? What they also have in common is a focus on current social fears. Thematically, the movies orbit around such current motifs as suburban resignation (Everything Must Go), economic hard times (Larry Crowne), overall loserishness (Captain America, The Green Lantern), drunken debauchery (The Hangover, Part II). Is this the new man gestalt? That is the real fear. Or, as Charleston Heston said in the first Planet of the Apes “You did it. You cut up his brain, you bloody baboon!” Now that’s a real man.